How do we know that Christianity is true? There are two tests of any valid worldview - that it is intellectually credible and existentially satisfying. The main evidence for the truth of Christianity is Jesus Christ himself. If we look at the magnitude of Jesus' claims and the evidence of his life, we are led to the conclusion that Jesus is who he says he is.Open Forums are specifically designed for skeptics or those wrestling with the claims of Christianity. 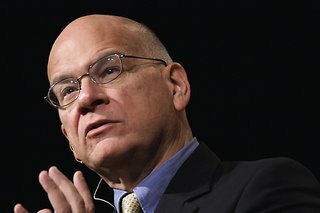 Each Open Forum included a brief concert by guest artists followed by a talk and open mic Q&A with Timothy Keller. This audio recording includes the talk only.